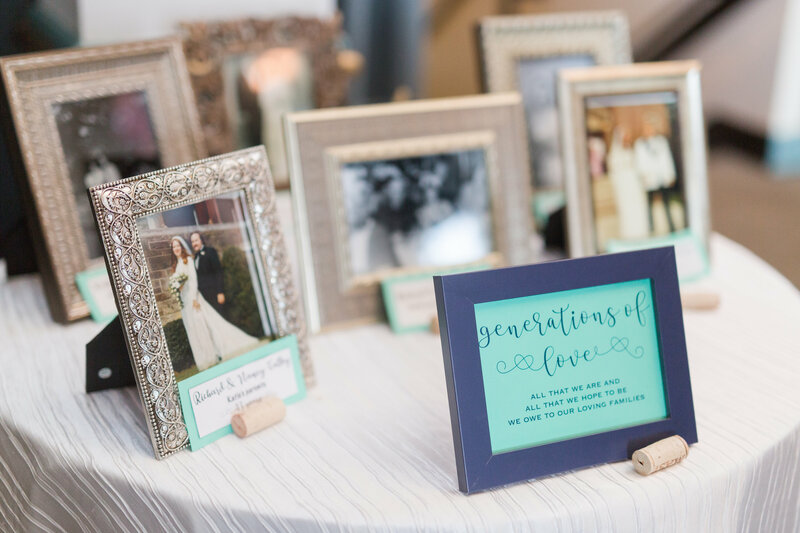 Did you catch yesterdays fun Martha Stewart Wine Co. stock the bar inspiration? 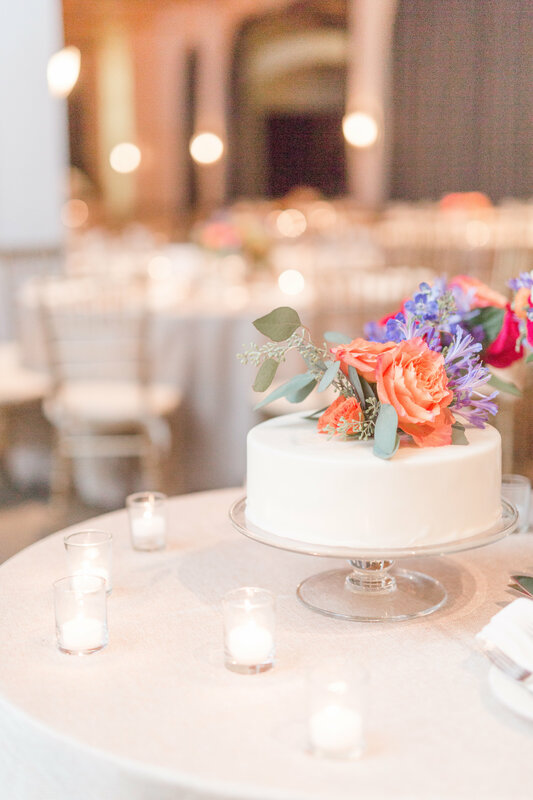 We cant wait to share even more of the photos next week from the stock the bar shoot with the prettiest confection from Catherine George Cakes! 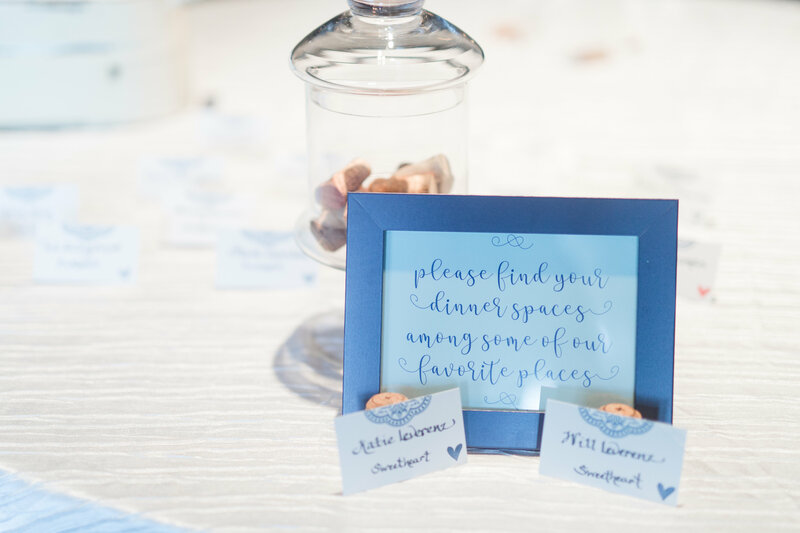 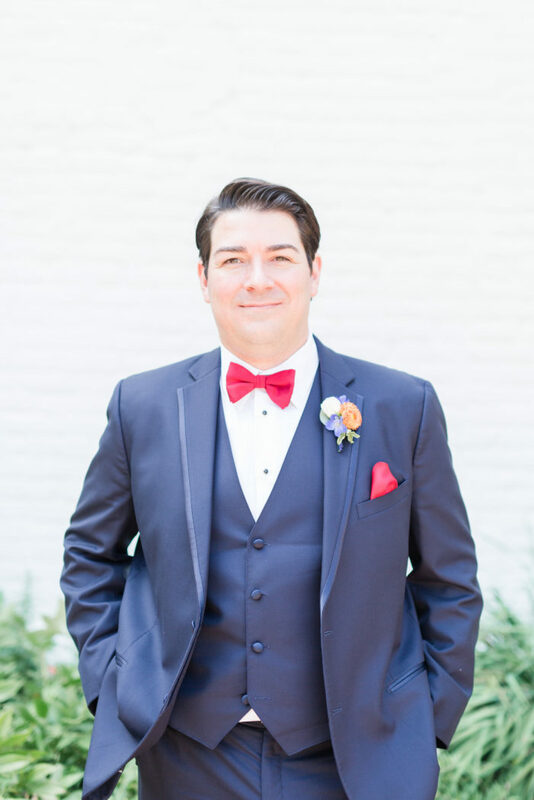 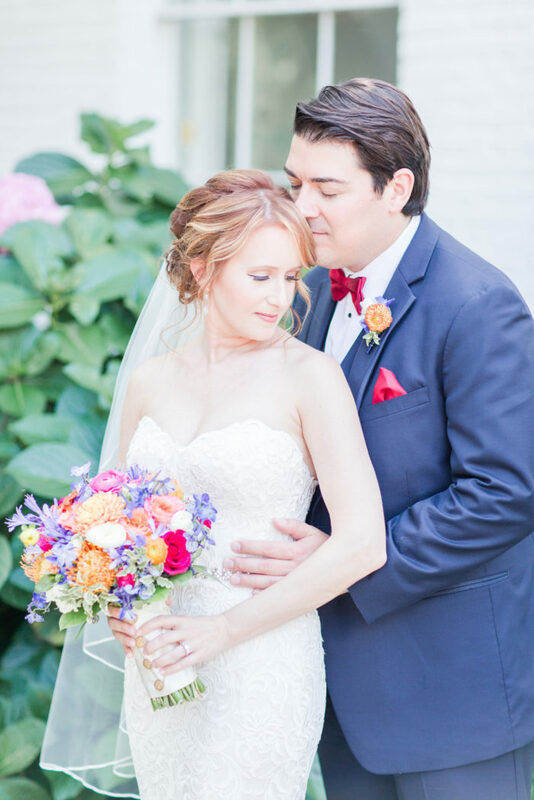 We are almost halfway through a great week of inspiration and man do we have a fun colorful Clarendon Ballroom wedding for you today by Elle Ellinghaus Designs ! 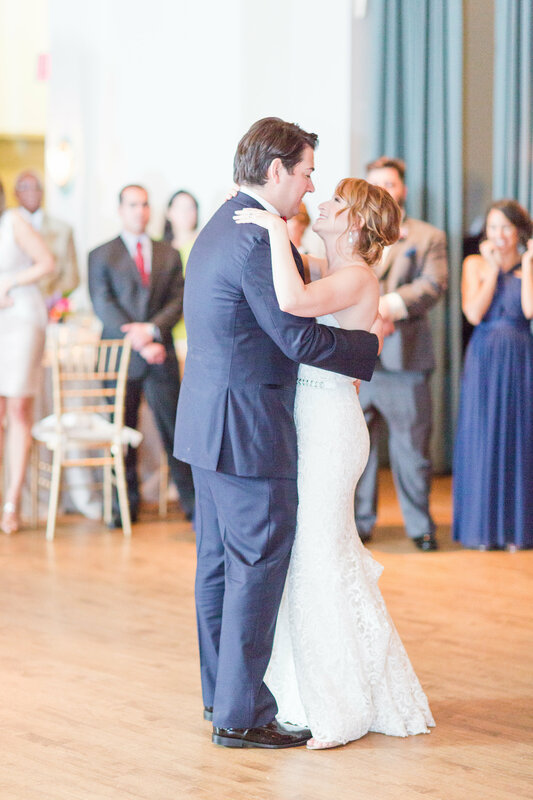 Will and Katie met while they were coincidentally staying at the same hotel in Puerto Rico, where they found out they only worked 3 blocks away from each other! 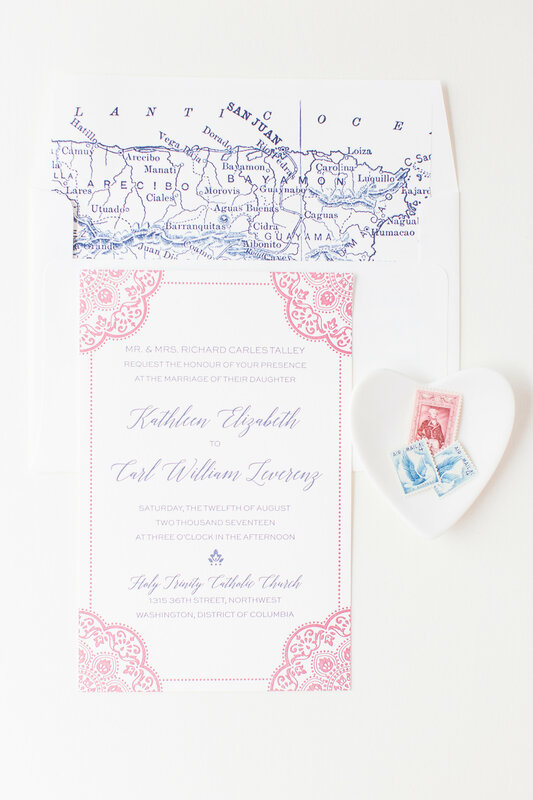 Their wedding had cute nods to the country where they met, how perfect are the wedding invitation liners? 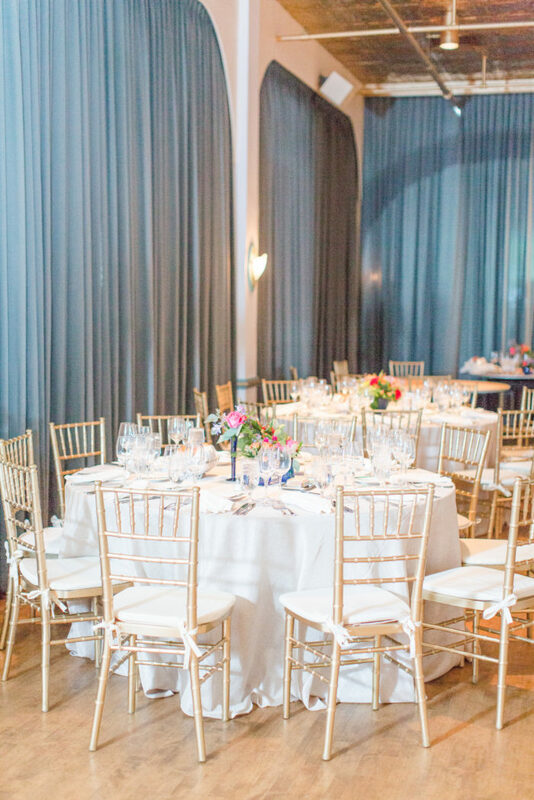 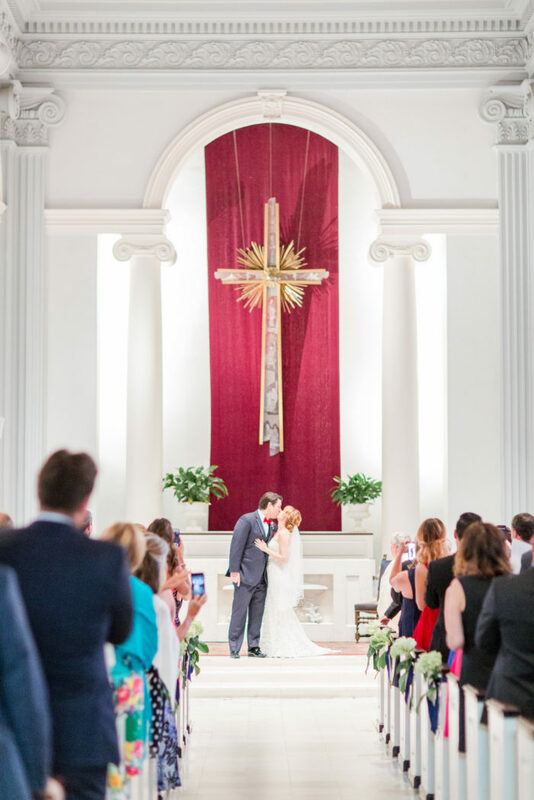 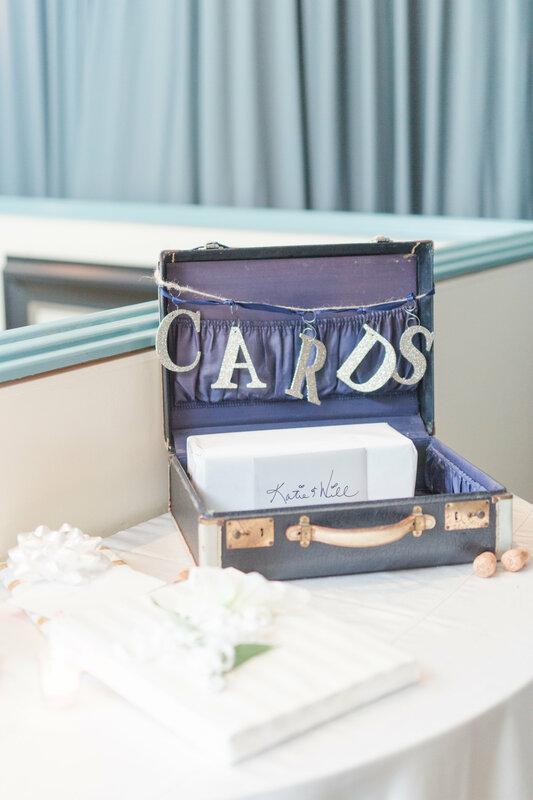 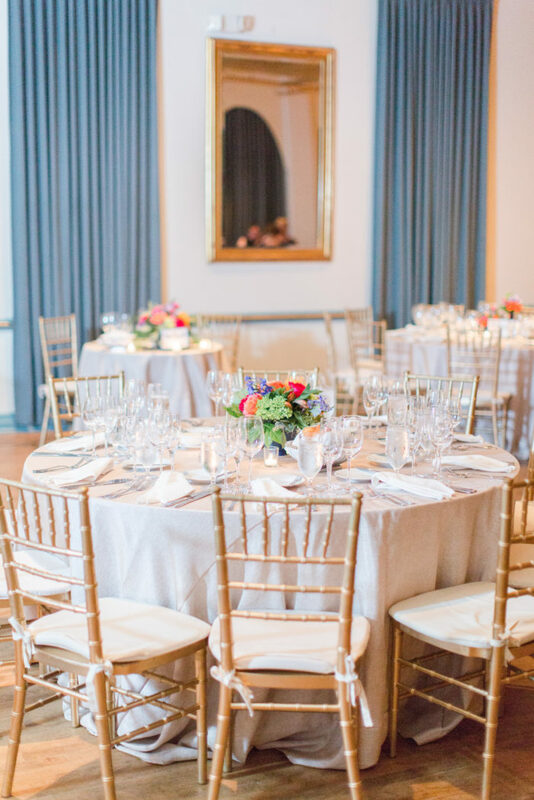 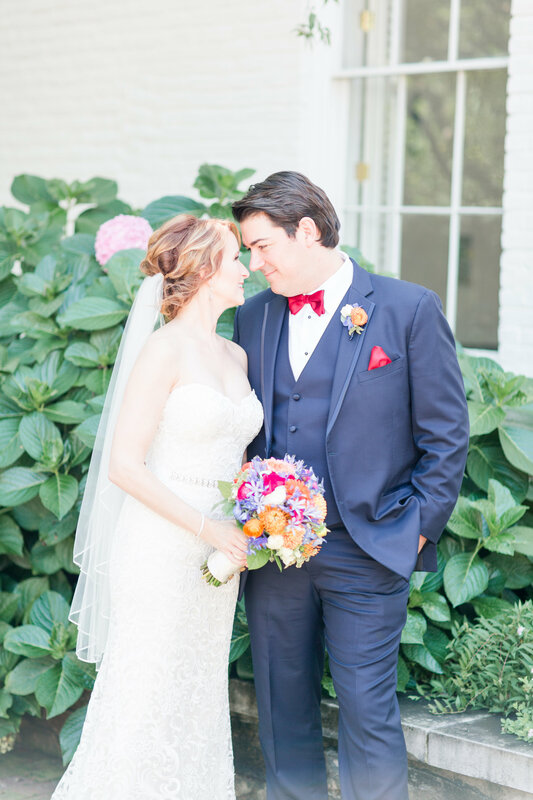 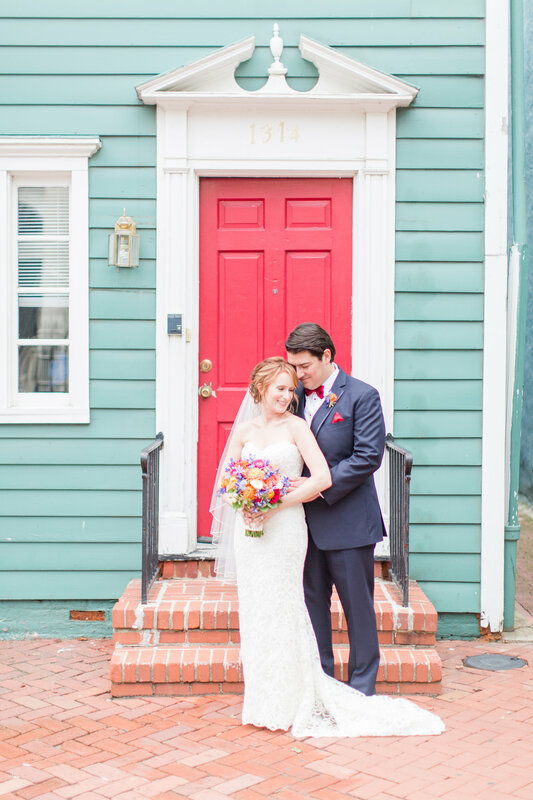 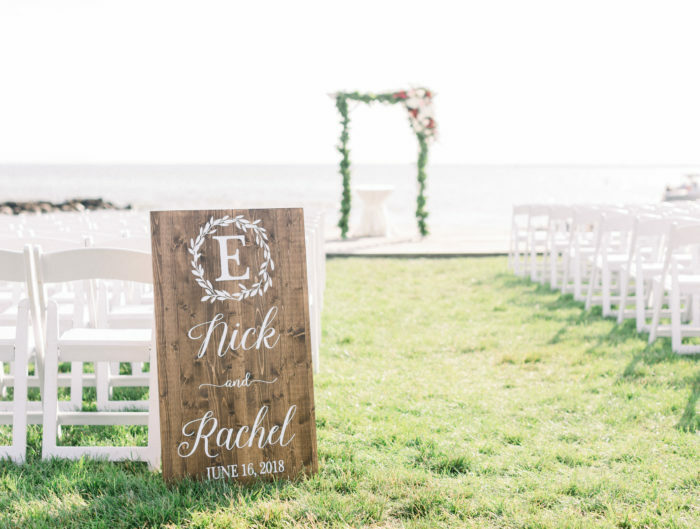 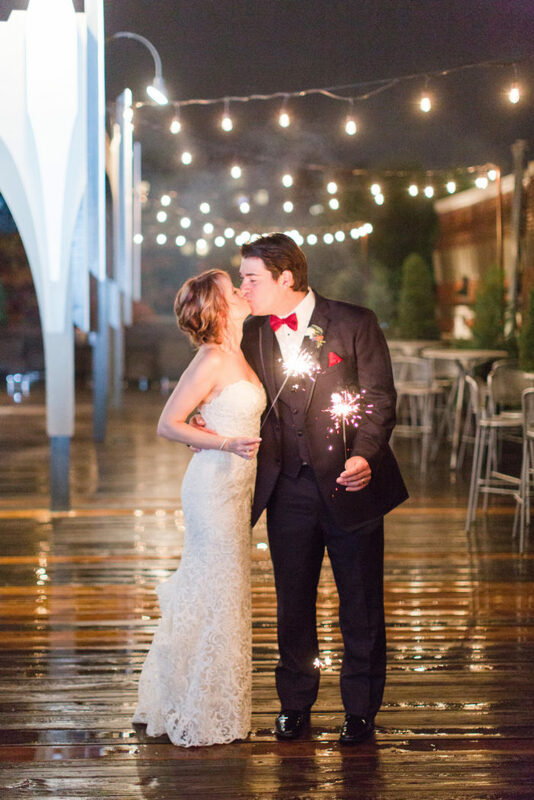 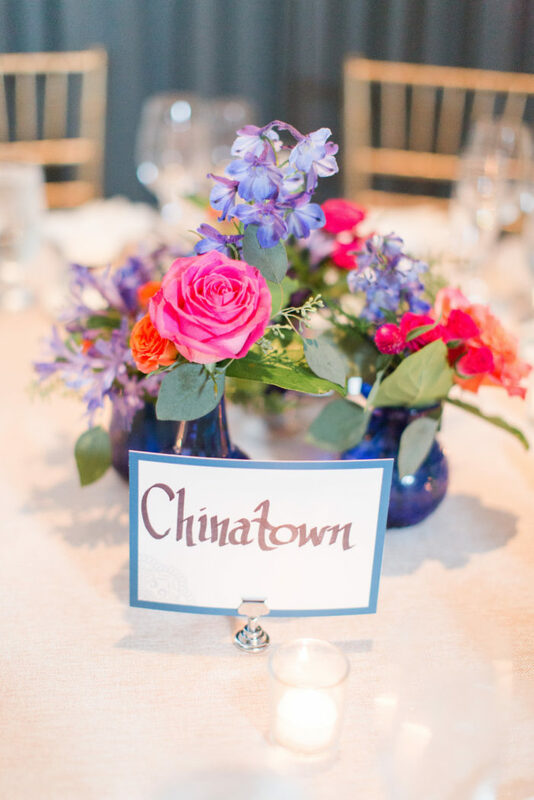 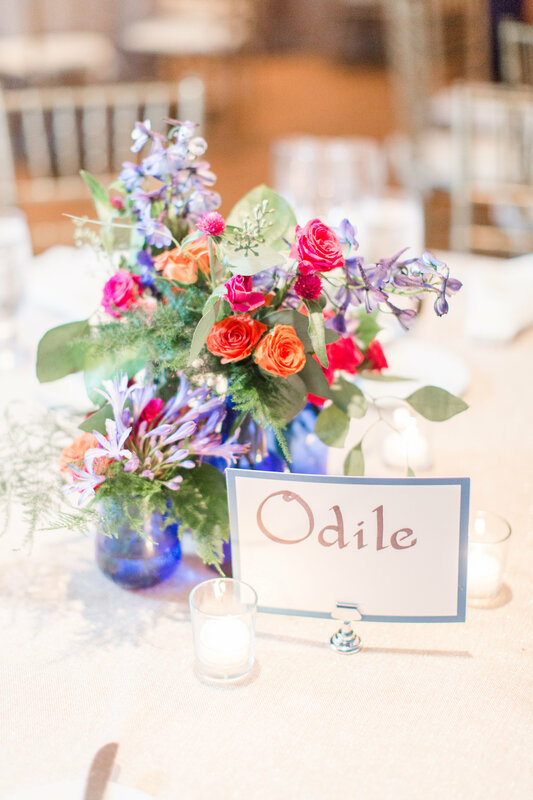 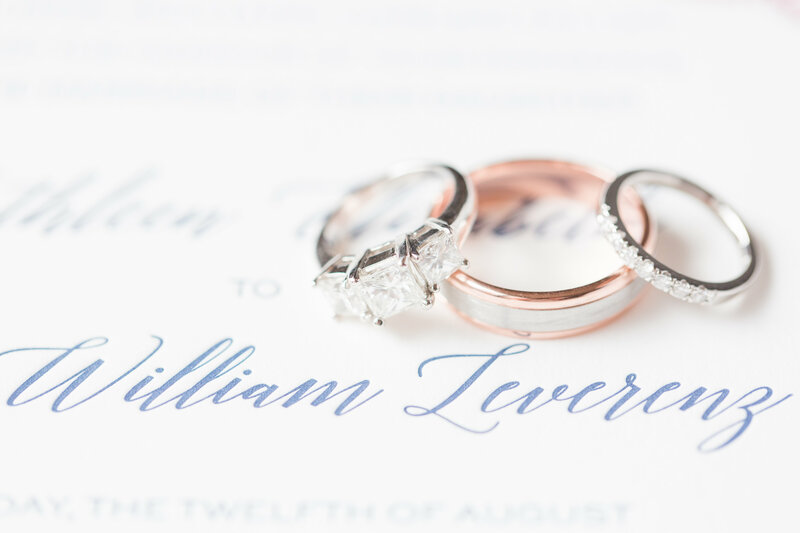 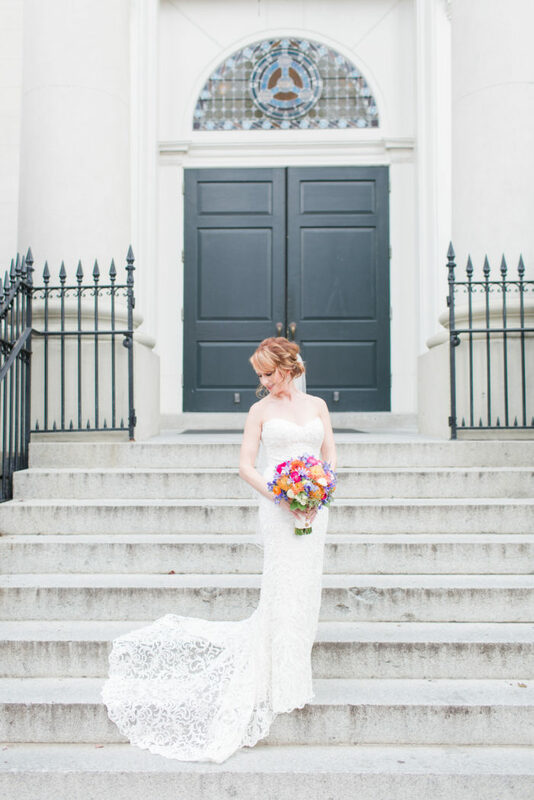 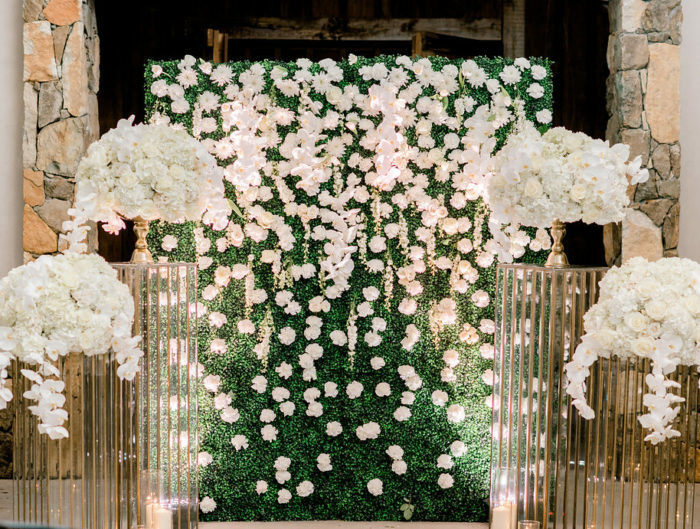 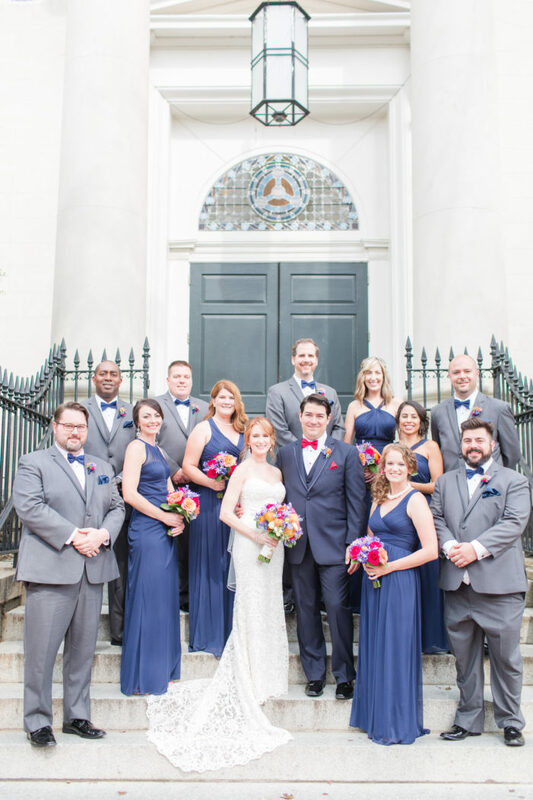 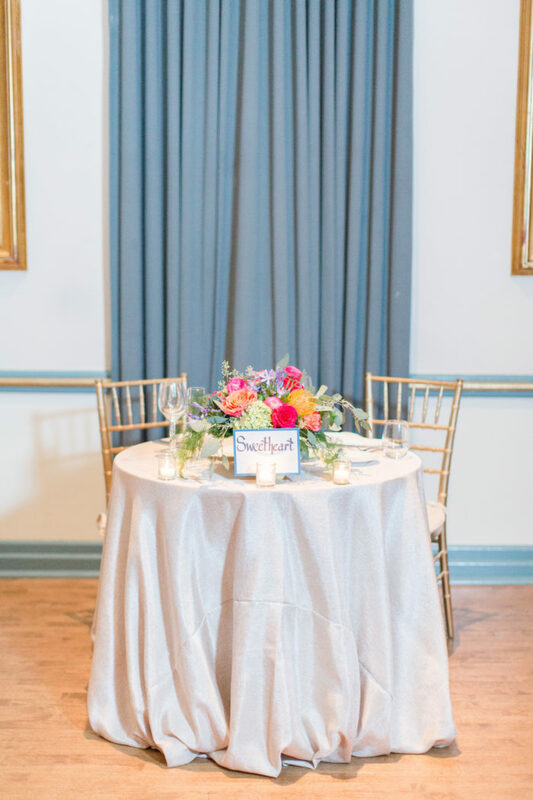 Their bright and festive color palette was perfectly balanced with classic and chic details. 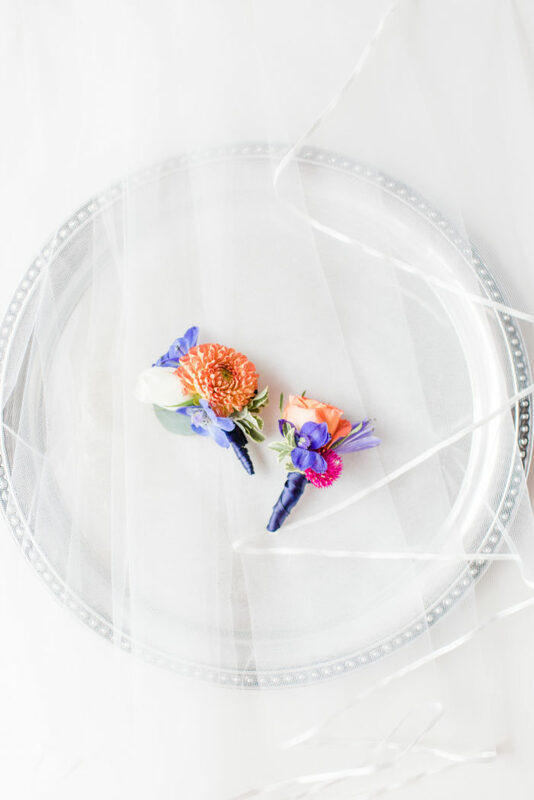 A sweet detail is Katie’s bouquet wrap made from her maternal Grandmother’s wedding gown and her Grandpa’s WWII army uniform buttons. 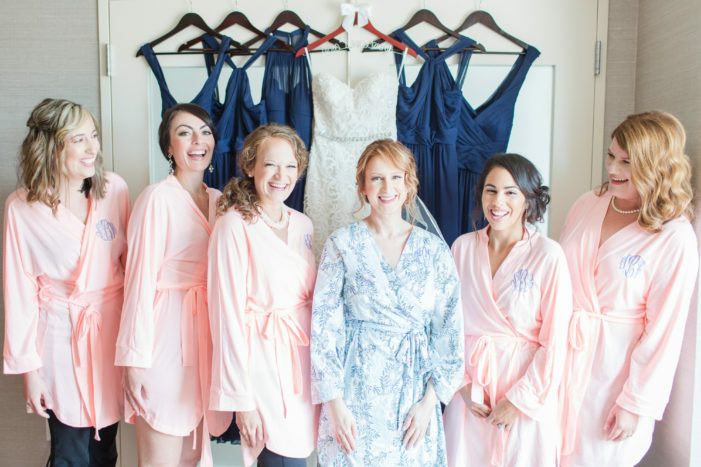 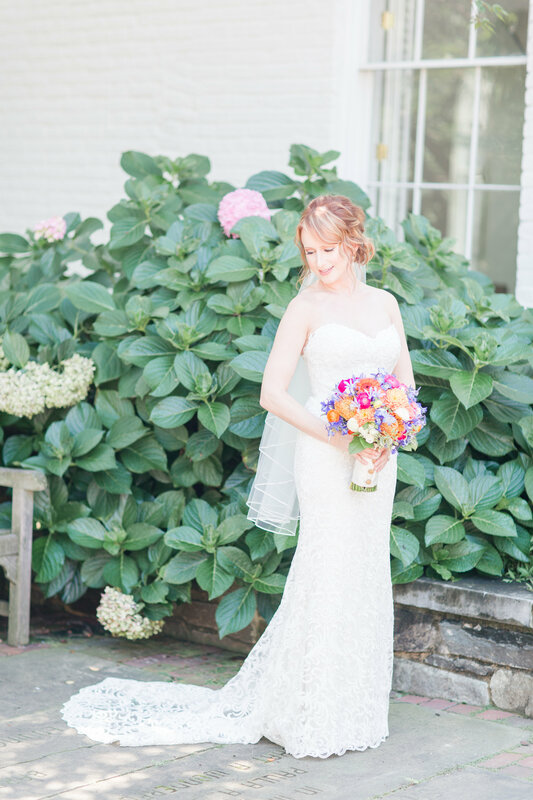 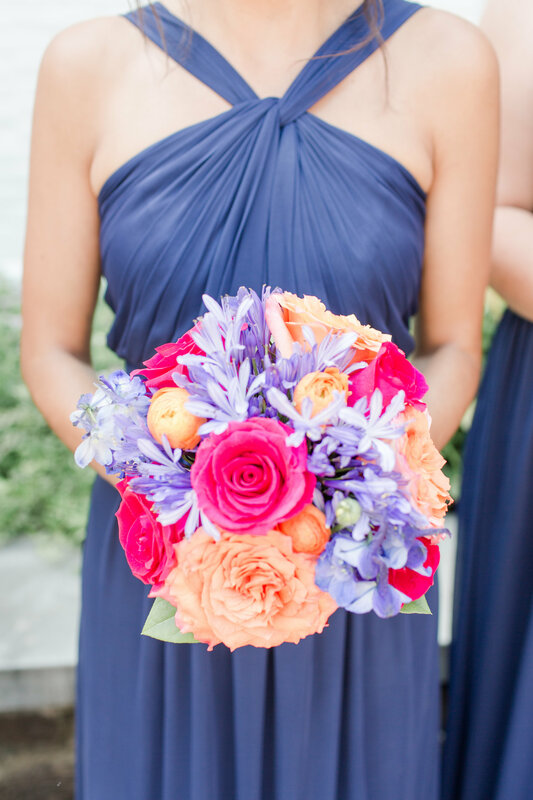 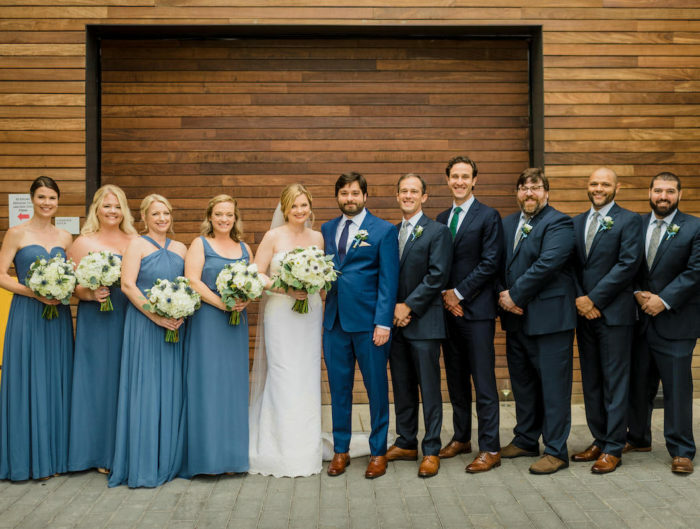 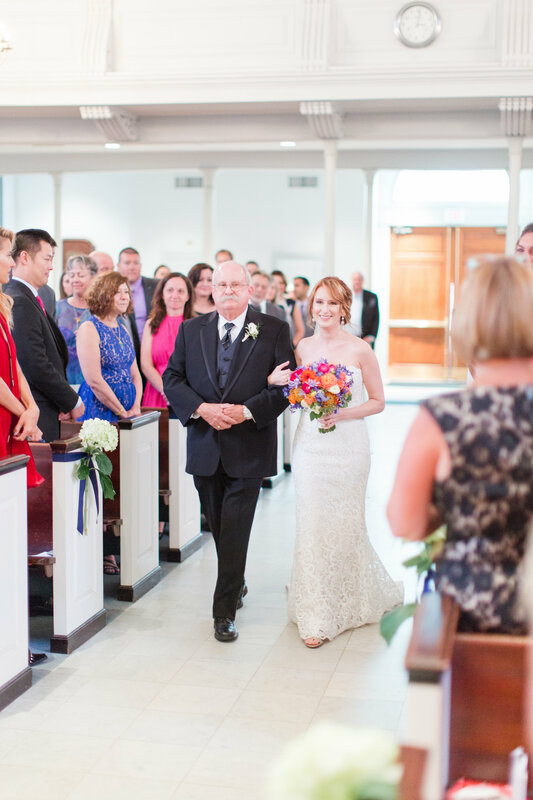 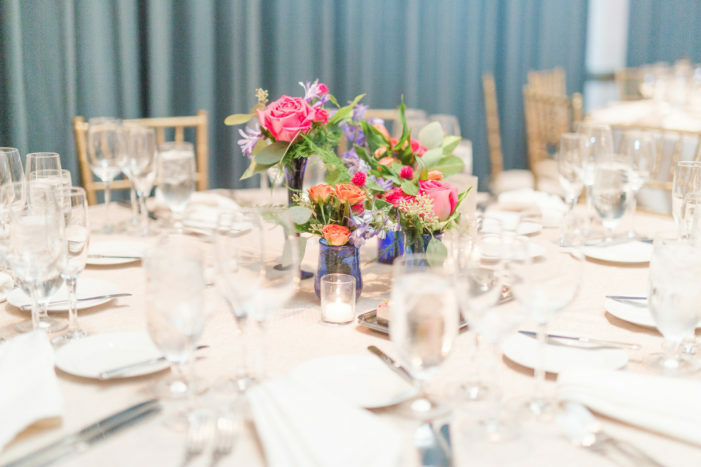 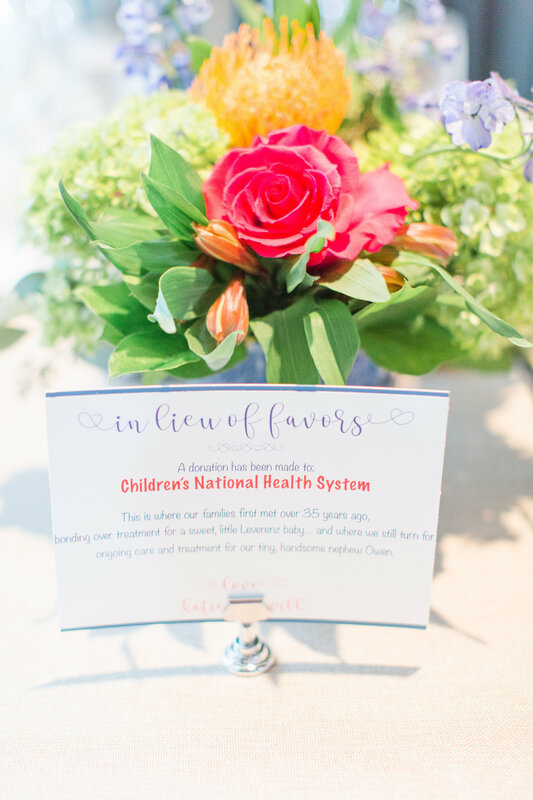 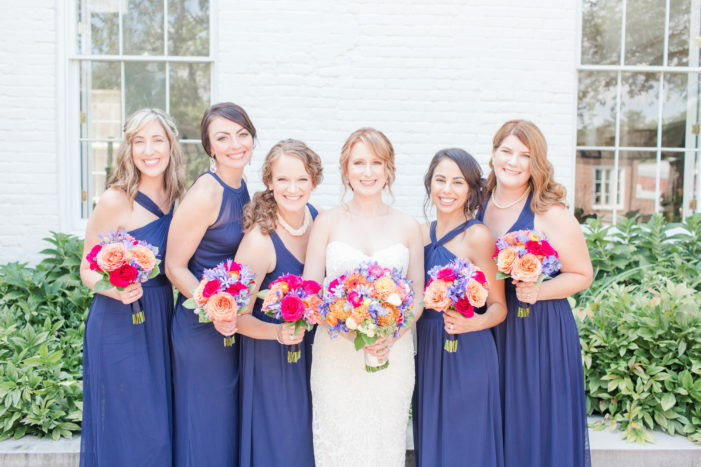 Thank you to Lindsay Fauver Photography for sharing this colorful Virginia wedding with us via Matchology!